So you've raced a 5K, 10K or even a marathon. You say you're bored with running one foot in front of the other from point A to point B. Looking for the next step to challenge your mental and physical vigor? We pulled together a list of challenging and unique obstacle/mud runs to put your athleticism to the test. Self-described as the "obstacle race that anyone can start and everyone can finish," the Warrior Dash puts on races in more than 80 locations around the world. This run is not your typical 5K, featuring obstacles called the Goliath, Alcatraz and the Giant Cliffhanger. The best part of this race, however, could be the fuzzy Warrior helmet all finishers receive at the end. Registration prices start from $45. The Down & Dirty Obstacle Race offers two distance options (three and six miles), complete with more than 20 obstacles on each. The Adventure Kids race provides "obstacles just their size and a trip through the biggest mud pit they have ever seen." Race locations include Los Angeles, Miami, Chicago, Dallas, Hartford, Conn., Philadelphia, Detroit, New York, Atlanta and Sacramento, Calif. Registration prices range from $55 to $110. Created by Dan Clark (AKA Nitro from American Gladiators), the Gladiator Rock'n Run offers 12 race locations across the country and four distance options (5K, 6K, 10K and 5 miles). Get your laughs on cleverly named obstacles, then hang with fellow Gladiators at the post-race party. Registration prices start at $55. Designed by British Special Forces, the Tough Mudder challenge lives up to its name with a distance of 10 to 12 miles and obstacles such as the Arctic Enema and Electroshock Therapy. While encouraging competitors to challenge their grit and determination, the Tough Mudder "puts camaraderie over finisher rankings and is not a timed race but a team challenge." Can't get over the obstacle Everest on your own? Count on the muddy stranger next to you for help. For those wanting a true competition race, check out the World's Toughest Mudder event, lasting a grueling 24 hours. Registration price starts at $99; 34 global challenge locations. Described as "Tough Mudder's Cousin in the City," the Urban Mudder uses city buildings and structures as obstacles to make up this five-mile challenge. Located in New York City, the Urban Mudder doesn't let the absence of open space stop competitors from running, jumping and crawling through the middle of the big city. Featured obstacles include the Laser Minefield, Rock and a Hard Place, and Close Shave. Registration prices range from $115 to $165. "More than just a mud run," the Rugged Maniac hosts a daylong festival with mechanical bulls, adult bounce houses and a foam pit. The 5K run has 23 locations across the United States and features obstacles such as the Frog Hop, Gauntlet and Ninja Escape. Registration prices range from $39 to $110. Inspired by TV show Wipeout, this 5K is for those who want to put their agility (and dignity) to the test. Twenty-five locations across the U.S. and Canada allow you to flop yourself off the Big Balls and swing around like a Dope on a Rope. Registration prices start at $61. According to its website, "Savage Race participants race to conquer fears, honor loved ones and forge bonds and memories that last a lifetime." Touting teamwork and friendship, Savage Race locations include cities in Texas, Florida, Georgia, Ohio, Chicago, Pennsylvania and Maryland. Adults take part in the Savage Pro (about 6 miles) and the little ones can get involved in the Savage Junior (1/2 mile). Featured obstacles include Block Party, Sawtooth and Pipe Dreams. Registration prices start from $30. The Spartan Race is "committed to making people's lives better... by embracing discomfort to get comfortable." With more than 60 locations across the world and a number of distance options ranging from three miles to marathon level, the Spartan Race challenges even the toughest competitor. Featured obstacles include a barbed wire crawl, fire jump and spear throws. Registration prices start from $45. Designed by former U.S. Navy SEALs and named for their unofficial mascot, the BattleFrog tests competitors against challenges real SEALs come up against each day. 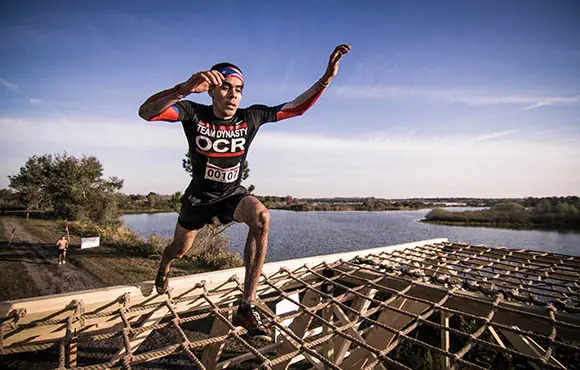 Every aspect of race day mimics the SEAL experience, including a all-day military vibe, Old Glory ceremony and obstacles with names like the Aerial Assault. Twelve locations across the U.S. offer four distance options: BattleFrog (around 8K), BattleFrog Xtreme (pick your own distance 16K or longer), BullFrog Mile (one mile) and the TadPole Dash (400 meters). Featured obstacles include the Tsunami, Rope Traverse and Normandy Jacks, and registration prices range from $5 to $140.